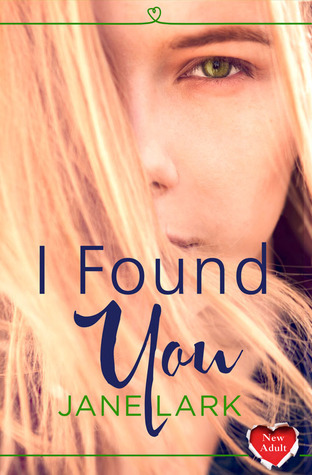 Written in the 1st person from Jason and Rachel’s point of view ‘I Found You’ is a poignant, engaging story with immediacy and rawness which hooks you in from their first traumatic meeting. Serendipity has Jason running on the Manhattan Bridge at the exact same time Rachel is in danger of ending her young life. This moment in time is an extraordinary occurrence in two ordinary lives which change them forever, a catalyst for an enduring love story. Rachel is at rock bottom and her life is full of secrets most of which she won’t share and would rather forget. On a downward trend since birth and coupled with an illness she barely understands meeting Jason on the bridge is opportune. The more time she spends in his care the more she depends on him and wants to share her true self but is the risk too great? Touched by Rachel’s predicament and vulnerability Jason’s small town values and upbringing make him considerate, he has to help her. Jason’s acceptance of Rachel ‘as seen’ goes a long way to healing her trust issues and gradually she begins to share her traumatic past with him and heal. Jason’s life in New York is not what he imagined. Meeting Rachel he sees the city differently she makes him try new things which force him to mature and understand what he wants from life. His relationship with Rachel challenges everything he holds dear. The sensual connection the couple have dominates the story and their lives and makes them feel invincible as only love can. The plot is page turning as life intrudes on their romantic idyll. The ending is worth struggling through the angst but don’t breathe a sigh of relief too soon. Thrilled you made the decision to have a read of my contemporary book too. 😀 I know the New Adults are very different, so really glad you enjoyed this! Thank you Jane!